Contact us to book an appointment and meet us at our booth No. 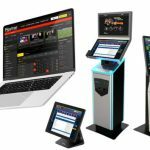 8 at ICE Sport Betting Congress 2018, New York, USA from 27th to 28th November, or to get more info about our white label sports betting solution and our latest news! ICE Sport Betting USA 2018 will be an amazing opportunity to meet us and get introduced to the gaming industry.